Objective: To prove, at any age, you can be a top dog. 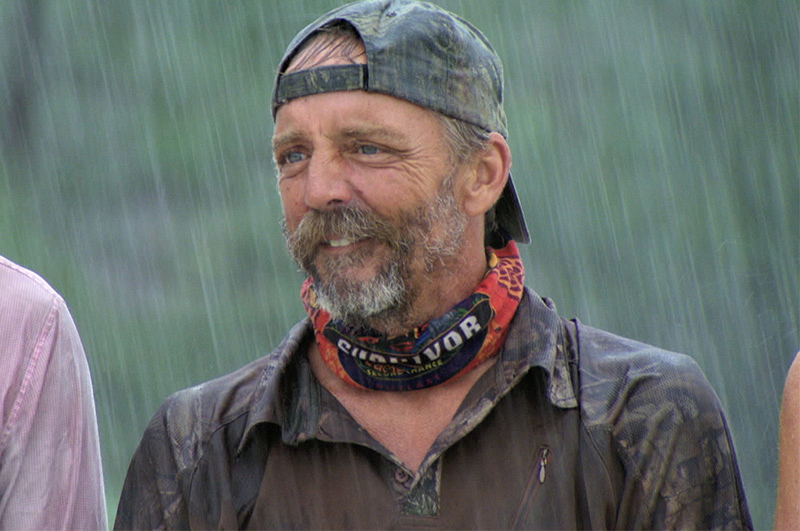 Past Experience: Originally the underdog from Survivor: San Juan del Sur (Season 29), the alliance-less Keith was able to blaze his own path by winning multiple Immunity Challenges. He successfully found—and used—a Hidden Immunity Idol at a great time but, in the end, fell one day short of the finals. He placed fourth in his first season and finds himself in the final group of Second Chance castaways. Accomplishments: This season, Keith has been the quiet-yet-dangerous type. His biggest asset as been his ability to win challenges, even as one of the older players. In the epic 2-hour episode, Keith made a big move by choosing to compete for Individual Immunity instead of aligning with the majority of the castaways, who opted for better shelter instead of guaranteed safety. His most recent Reward win proved he was in this game for good reason, and even though Keith hasn't been in the majority alliance this season, he's always been in the game. Skills: Pro tuk tuk driver, independent thinker, and jack-of-all-trades.